Make Prom or Tolo Night a special night to remember! Seattle Top Class Limo knows that Prom Night or a Formal Dance night at your school should be a memorable and safe experience. Let our professionals ensure that your special night is filled with lasting memories. We understand that Prom Night can get quite expensive with dresses, tuxedos, flowers, expensive dinners, and the cost of tickets. We have some of the most competitive limo prices in the industry and will make your experience affordable, safe and wonderful. Arrive at your Prom or Dance in style and safely in one of our Limousines seating from 2 to 14 passengers, Or ask us about our newer model coach builder international Limo party Buses, seating 16-30 passengers. You will be chauffeured by a professional, licensed driver who is insured for your safety. 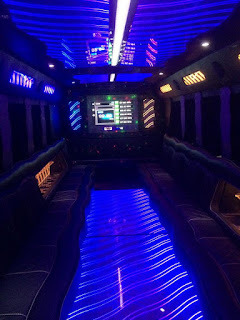 You can decorate your limo or limo party bus in your school colors and stock it with sodas of your choice, bottled waters and even sparkling cider. Ensure a safe, fun and memorable evening. *We are happy to have minors as customers at Seattle Top Class Limo, but we do require that a Parental Consent Form is completed prior to your trip. Contact Us For Parental Consent Form.